Thank you Lara. I love lilies. 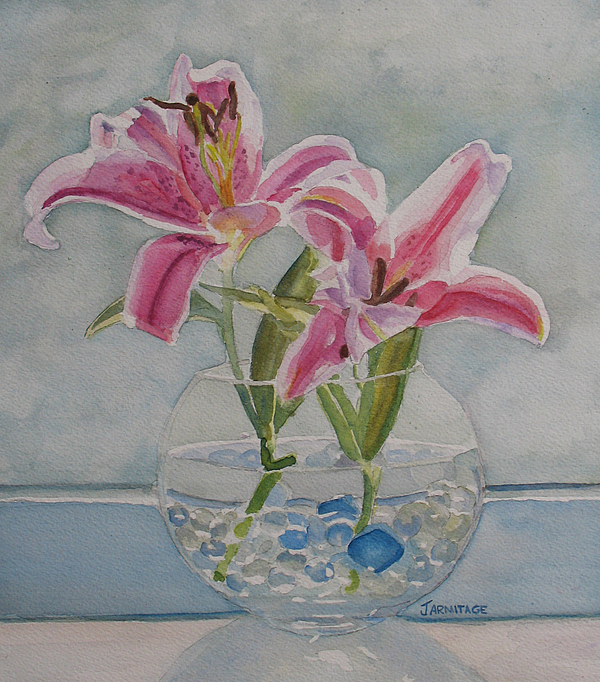 Watercolor painting of two lilies in the window. The second is just opening the last two petals.